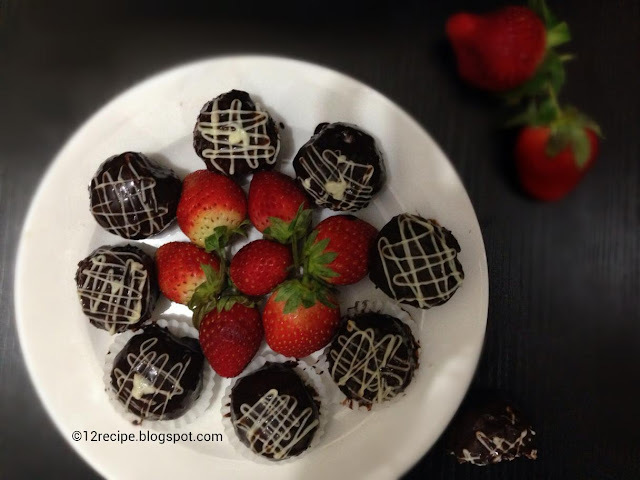 Truffles are always delicious with few ingredients and quick preparation. 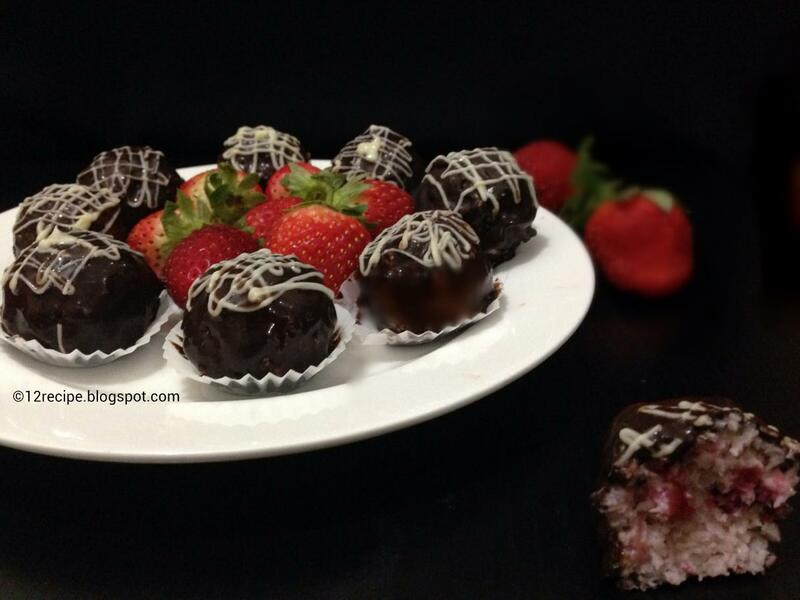 The clean fresh strawberries with creamy coconut balls just melt in your mouth. Here is the easy recipe and enjoy the simple taste of bliss. 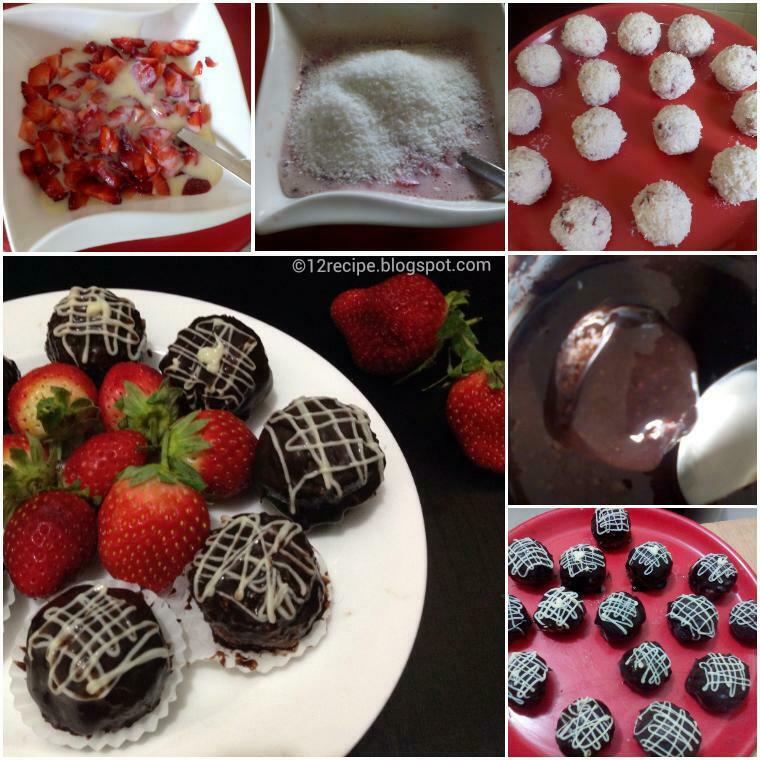 In a large bowl, mix condensed milk with strawberries (don’t allow to puree all the strawberries. Some pieces are in it to bite). Add desiccated coconut in to it and give a gentle mix. Add milk powder little by little and until the mixture gets almost dry and can easily able to make smooth balls out of it. Make small lemon sized (or less) balls out of it and freeze for 20 minutes to get firm. After that dip it in the melted chocolate and arrange it on a wax paper (or aluminum foil or in a greased plate). Decorate with melted white chocolate or sprinkle sugar balls on top. Allow to set the chocolate (or freeze for 15 minutes ).